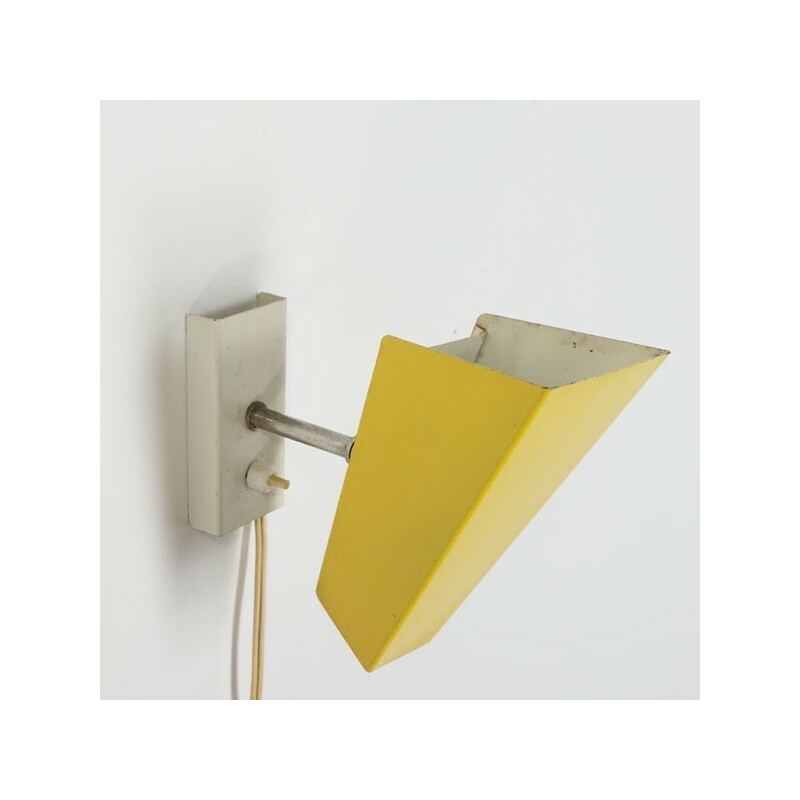 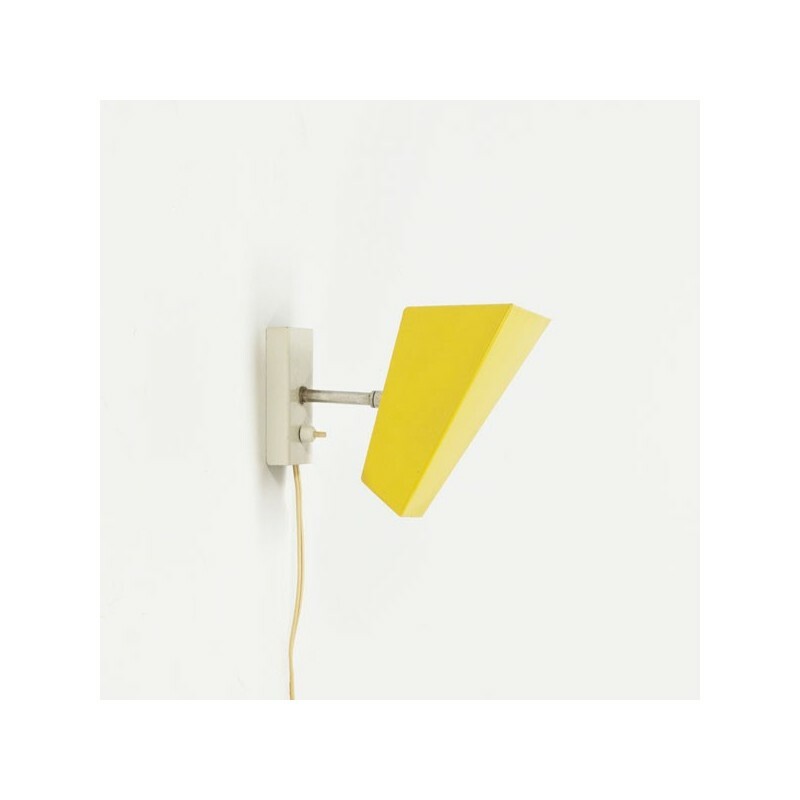 Vintage wall lamp designed in modernist style, probably from the Dutch brand Anvia. 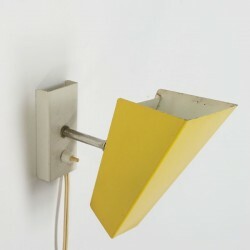 The lamp is in a reasonable condition given the age, for details, see the photos. 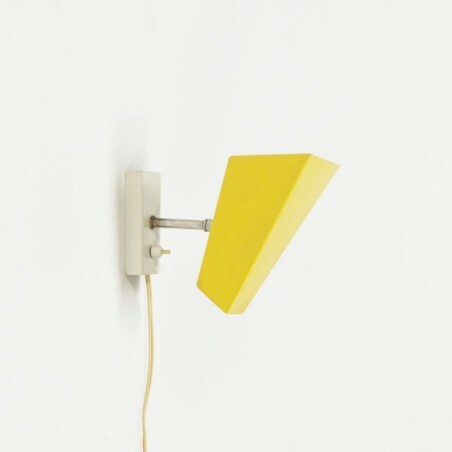 The size of the cap is 17 cm long and 9 cm wide, the lamp is 19.5 cm deep.